A highlight in our assortment – a 100% vegan organic honey alternative! 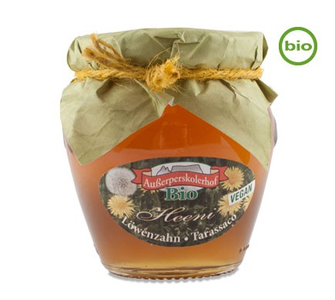 This typical product from South Tyrol (also known as "dandelion honey" known) can be used as a spread and for sweetening anything from tea to various dishes. Its taste, consistency and colour will convince you. The beautifully designed jars are made with just as much love as the whole product!